Our friendship is stronger than steel. 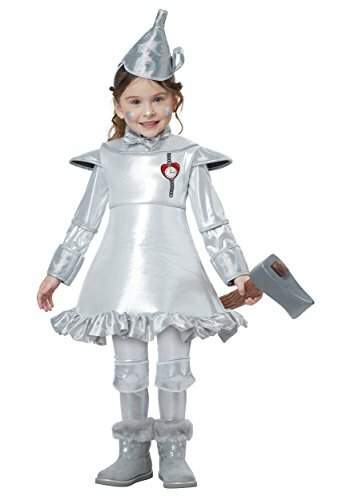 The Tin Man of Oz toddler costume is a silver dress that is shaped with soft foam. The dress is decorated with shimmering glitter trim fabric and a heart clock art graphic. It comes with leggings with attached knee pads and a funnel shaped hat. 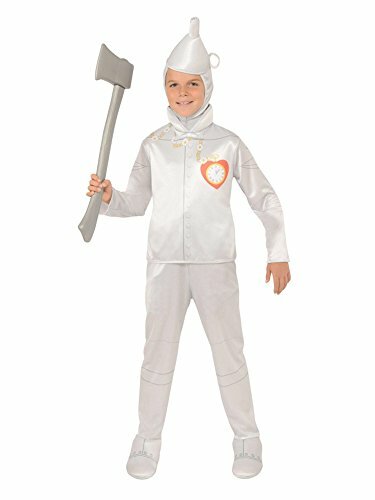 Your little guy won't need any oil for this soft plush officially licensed tin man costume as they walk along the yellow brick road on the way to the emerald city. The scarecrow is still clever with a head full of hay. 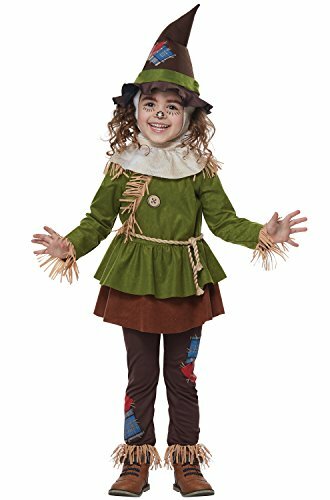 The toddler Scarecrow of Oz includes a shirt with attached skirt, hood with collar, pants, rope belt and hat. The shirt features a brown skirt layer and is decorated with faux hay trim and a printed button graphic. The combined collar and hood is a polyester fabric with decorative burlap print. He's all heart! 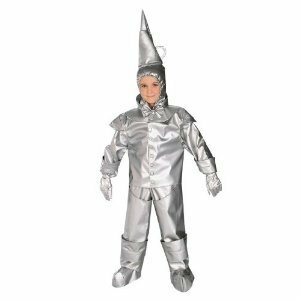 This Wizard of Oz Tin Man costume is of a two-piece design with separate funnel shaped headpiece. 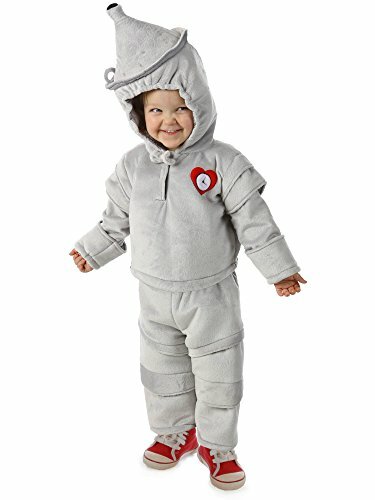 The jumpsuit features full legs and sleeves with a padded chest and silver bowtie. Axe and Heart Clock are not included. Mike's homeade recreation of this movie classic character visits Los Angeles for Halloween 2008 in search for his heart. Instead, he finds his friends Dorothy, the Scarecrow, the lion and many more!